TRE is a simple technique, developed by Dr. David Berceli, that uses exercises to release stress or tension from the body that accumulate from every day circumstances of life, from difficult situations, immediate or prolonged stressful situations, or traumatic life experiences (i.e., natural disasters, social or domestic violence). 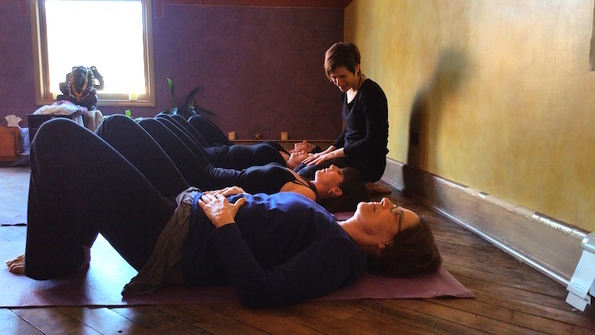 The technique can becomes a quick and effective method for consistent relaxation. Eventually, these tremors will become accessible in a rest position and can be used to release any stress or tension that was accumulated over the course of the day.